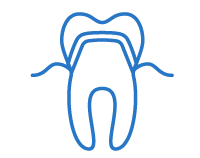 We offer quality dental services with a team of specialists. 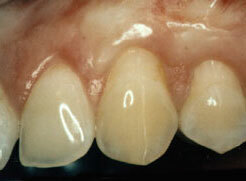 Our emphasis is on maintaining compromised teeth and/or restoring esthetics and function using dental implants. 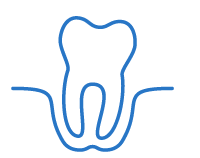 Arresting periodontal disease and preventing recurrence is our goal for every patient. This involves daily dental hygiene, proper nutrition, periodic cleanings and check-ups. It may not be where we start with every new patient, but that is what we want to attain and maintain, especially with all the evidence linking dental health to overall health. During your first visit, a comprehensive examination will be completed. This exam will include necessary x-rays allowing us to diagnose the condition of your mouth, teeth and gums. In most instances your dental condition will be determined at this visit and a suitable treatment plan will be discussed with you. Dr. Buyers practice provides a variety of surgical services. We pride ourselves on the fact that we are very conservative in our treatment recommendations and limit surgery to the areas where it is absolutely necessary. These procedures are a predictable way to cover unsightly, sensitive, or exposed root surfaces and to prevent future gum recession. If you are unhappy with the appearance of short unsightly teeth this can be greatly improved by a combination of periodontal procedures by Dr. Buyer and cosmetic dentistry by your dentist. When the recession of the gingiva occurs, the body loses a natural defense against both bacterial penetration and trauma. When gum recession is a problem, gum reconstruction using grafting techniques is an option. Laser Assisted New Attachment Procedure is an FDA approved alternative to traditional gum surgery. This approach minimizes the appearance of longer looking teeth, eliminates sutures, reduces after treatment temperature sensitivity and is more comfortable than traditional approaches to therapy. The laser kills the causative bacteria in the sulcus and in the tissues surrounding the teeth. Recent studies show new attachment is regenerated with this protocol. It is an alternative to traditional scalpel and suture gum surgery. Dr Buyer currently is the only fully credentialed periodontal laser trained dentist is Southwest Virginia. This is a less invasive procedure to create more bone volume in the posterior maxilla for dental implants. The sinus membrane is hydraulically lifted to allow for bone augmentation and implant placement under local anesthesia. 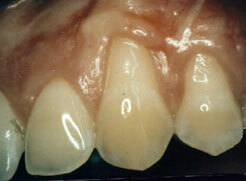 Often times, the lift and implant can be placed at the same time which eliminates a second procedure. Dr Buyer is the only periodontist with 10 years of experience using this technique in Southwest Virginia. Cone beam computerized tomography (CBCT) gives a very precise picture of the bone volume and density to support dental implants. This technology delivers more predictable restorative solutions to missing teeth and images pathology to allow for more precise operative plan. CBCT is significantly less radiation exposure (1/5 to 1/10) than traditional medical CAT scans. Dr. Buyer was the first periodontist in Southwest Virginia to routinely use CBCT. He has CBCT technology in his Blacksburg and Roanoke offices. Sedation allows for patients with anxiety or patients requiring long and/or complicated dental surgical procedures to be treated in a comfortable manner. Dr. Buyer completed 6 months of rotations in medicine and general anesthesia. He complies with all required federal and state credentialing requirements to deliver IV sedation to patients in an outpatient surgery center. 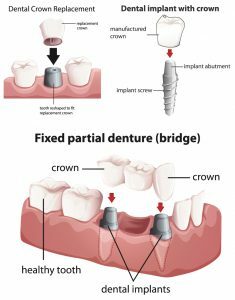 This technology allows for a more expedited dental implant process. It has the potential of revolutionizing seamless dental care between the general dentist and the specialist. Dr. Buyer invested in this emerging technology in 2018.